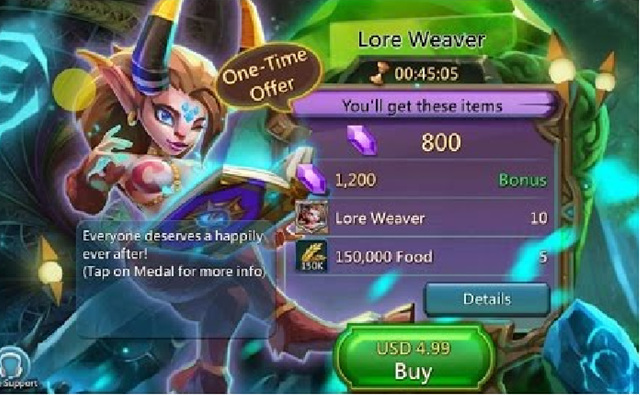 In Lords Mobile, there are various offers you can purchase and have a head start in this game. If you are a free-to-play player, and you want to reach higher level/might more easily, why not spend a couple of dollars and buy those wonderful bundles? 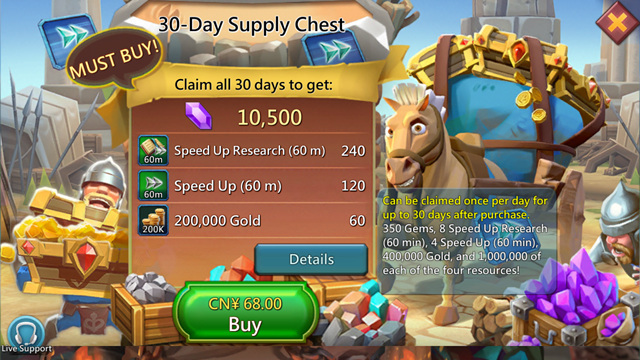 These recommended bundles/chests contain many useful items such as Gems, Speed Up, Resources, etc, and you can check out more details in game. Please note this guide is specifically for those new players who have limited budget, and bundles could vary over time. Winning start: Big Guy hero can be purchased after you purchases the two packages of it. it's boost your construction speed from 1.5%(White) to 30%(Gold). Heroic Adventure: this is contains 6 Bravehearts, so pretty good to help increase your hero medals and it's important for collesium fight and ranks. this rank important to get more gems. Lore Weaver (my experience all overlords use this hero for rank 1 at the collesium its really effective) but you can choose also the others.